This is a fast-paced single player and co-op multiplayer action RPG. The story starts out after you have died, but Din, the champion of the gods, has cursed you into a second life. It seems you were a pretty bad person in life and Din is now going to make you redeem yourself by saving others. Until that time you are doomed to wander forever alone. You will explore the underworld of Aleria, slay dangerous monsters, solve quests that change over time, avoid deadly traps, and especially, plunder lots of loot. 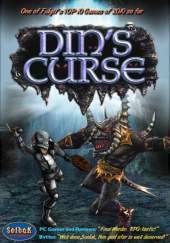 Quell uprisings, destroy dangerous objects like earthquake machines, kill scouts, track down renegades, purge curses, end or start wars, and complete other dangerous quests or the danger will escalate. Demon War (2011) was an expansion that features: Play the Demon Hunter class (now 196 total class combinations); Fight many new demons (3 new species, 8 new types, 40 new variants); Solve tons of new quests; Help the NPCs as they interact much more with the world and each other; Experience many more world modifiers; Explore new environments; Interact with the world in new ways; Survive the Demon War.